The classic triangular domino game! 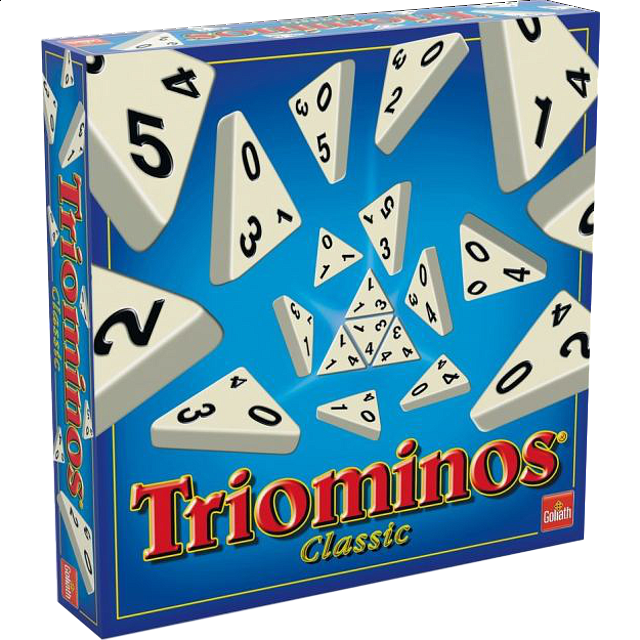 Features sturdy plastic Triomino tiles with big, easy to read numbers and large print instructions! Players score points by matching numbers on the three-sided playing pieces. Triominos combines strategy, luck and exciting new challenges every time you play! Includes 4 one-piece racks.